Yes, the minimum rental furniture order is $400. Is the rental price per day or per event? The prices published on VegasEventFurniture.com are for the duration of the trade show, convention or event for up to seven days. If your rental will be longer then a total of seven days, (including delivery and pick-up days) please call us at 702.580.8907. We suggest you place your order as soon as possible to reserve your rental furniture, as all items are rented on a first come first serve basis. Be sure to place your order at least 14 days prior to the delivery date to avoid the 20% late order fee. If you are placing an order less than 48 hours prior to the delivery date, please contact us at 702.580.8907 to confirm our delivery availability. We charge a late fee because there are multiple trade shows and events we deliver to each day. Furniture is cleaned, packed, staged and trucks shipments coordinated weeks prior to the show. A 20 percent late fee will be charged to orders placed within 14 days of the event delivery date. Place your rental funriture order online and check out. All orders must be prepaid. You can also order using the PDF Order Form at the bottom of the home page. We do not take phone orders. Do you charge state tax? We do not charge state tax. Al taxes are included in the rental price. There is no delivery fee from our warehouse to the exhibit hall, hotel, conference center, etc. 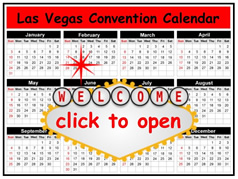 We deliver to all Las Vegas are area hotels and exhibit halls. Do I need to pay for drayage or material handling fees? If we are delivering to a Las Vegas trade show, you will be charged a material handling service fee the general service contractors (Freeman, GES, etc.) charge exhibitors to bring exhibit material from the loading dock to your trade show booth space and to remove it from your booth back to the loading dock. How much are the material handling / drayage fee? These rate fees vary by trade show, but are calculated by weight on a per 100 lbs basis or CWT. We delivery 500 lbs.of furniture. The drayage rate is $75 per 100lbs with a 300lbs minimum. Your drayage/material handling bill would be 5 x $75 = $375. We delivery 125 lbs. of furniture. The drayage rate is $75 per 100lbs with a 300lbs minimum. Your material handling bill would be 3 x $75 = $225. Note: When you place your order with Vegas Event Furniture your receipt will have an estimated weight for your order. You can use this weight to help calculate your material handling fees. You can also use this information to be sure you are being billed the correct amount by the general service contractor. How do I pay for material handling or drayage or material handling fees? It is your responsibility to have a credit card on file with the General Service Contactor (Freeman, GES, etc.) at least 10 days prior to the move in date of your event. The furniture may not be delivered without a credit card on file. The credit card you use to place this order is not used for material handling fees. What is the condition of the rental furniture? We take great pride in the condition of our rental furniture and we understand the importance of a clean professional look at your trade show, convention or corporate event. All rental furniture is ingood to excellent condition. If you have an issue with your furniture, call and we will replace. What if an item arrives dirty or damaged? Contact us and we will replace it. When will my furniture be delivered and picked-up? Furniture is usually the last items to arrive to the booth, this is done so large items are clutter aisles or booth spaces during set up days. Furniture typically will be delivered late afternoon on the last set up day. We do not have jurisdiction to deliver the furniture when our clients demand we deliver. Furniture will be picked up the afternoon of the last day of the event. Please notify us as soon as possible. We allow for normal wear and tear, but any obvious damages due to misuse are your responsibility and your credit card on file will be billed for any damages. You can cancel or add items up to 14 days prior to the event delivery day for a full refund. There are no cancelations or refunds within 14 days of the event delivery date. There is a $75 charge if we are required to remove furniture from the time the item(s) are delivered to your booth or event. Any order changes MUST be done in writing. What are your business hours. Our offices hours Monday – Friday 9am – 5pm, Pacific Time. What if I have an on-site issue or emergency during nonbusiness hours? You order will have an emergency contact number if you require on-site assistance.